It is sexist and has been for a while. NZ’s economy could have benefitted from extraordinary minds of Scientists that Richard Dawkins had proposed to adopt into the country….but instead, a respected NZ scientist had to throw in a highlight of how we’re missing out on filling the gender quota in New Zealand. It really makes no sense. 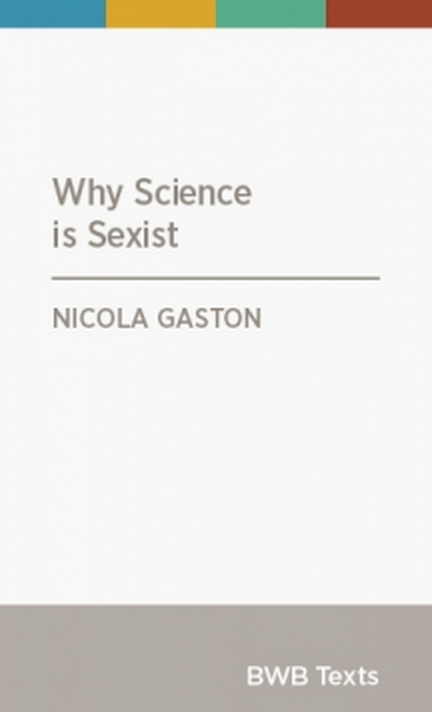 Gender does not matter when it comes to Science. I’m pretty sure the best minds on the planet in Science ARE men. If women want to make a difference, then preach to them the wonders of Science. The fight against this “sexism” is proving to everyone in the field of research who the smarter and more knowledgeable ones are. If they are predominantly male, that’s not sexism. For what this book implies, I personally see it as an ironic attack on men…not that gender should make a difference in making the planet a better place to live on. “Why coalmines are sexist” should be the title of a book I’d write…explaining why there aren’t many women working in the mining industry…surely that’s sexist too. There’s nothing particularly offensive in your uninformed opinions so I’ve approved this post. If you ever come to regret having written it under your real name (I assume? ), let me know and I’ll happily take it down. p.s. you should really read the book, if you care about all of this. Especially (!!!) the status of science in society.